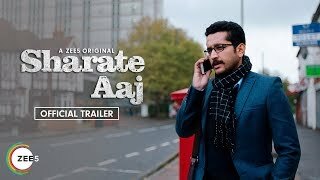 Sharate Aaj is a ZEE5 Bengali Original starring Parambrata Chattopadhyay, Payel Sarkar, Riddhi Sen, Kanchan Mallik, Surangana Bandopadhyay, Joydeep Mukherjee and Bidipta Chakraborty. This thriller drama revolves around a group of NRI Bengalis, both from India and Bangladesh, who come together to organise and celebrate Durga Puja. However, a terrorist group plans to disrupt the event. Who will win in this battle of the good vs evil? 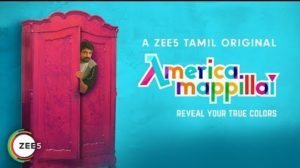 America Mappillai - America Mappillai is a ZEE5 Original web series. 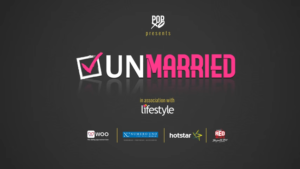 A straight guy who is a commitaphobe pretends to be gay in order to avoid getting married. Ganesh seeks out his gay friend Karthik for help while struggling to come to terms with his own sexuality. 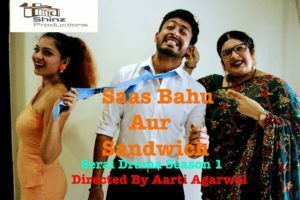 Saas Bahu Aur Sandwich - Family from Delhi migrate to Singapore, Changes in Daughter in law with her style and fashion from traditional to modern is not taken easily by mother in law, watch how son or husband gets into sandwich in between mom and wife.